Thorigné-Fouillard, France and Barcelona, Spain – Feb. 21, 2018, 6:00 p.m. CET – Kerlink (ALKLK – FR0013156007), a specialist and global leader in solutions dedicated to the Internet of Things (IoT), and DataLong16, a leader in asset-monitoring solutions, today announced the pilot deployment of an IoT network in the Port of Barcelona to help port authorities track and dispatch maintenance personnel in the port. In addition to determining the exact location of the 10 vehicles in the port’s maintenance fleet in real time, the application will enable authorities to respond to calls for urgent repairs to facilities and equipment by sending personnel who are closest to the scene of the problem to make repairs. Kerlink is providing its WanesyTM Management Center to power the LoRa® core network, its WirnetTM iBTS Compact LoRaWANTM gateways to cover the entire area, and its WanesyTM Geolocation solver to provide geographic coordinates. 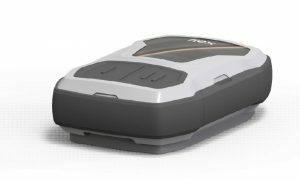 The fleet monitoring system uses the LPWAN Development Kit from Flex, the Sketch-to-Scale™ solutions provider that designs and builds Intelligent Products for a Connected World™, embedded in maintenance vehicles and communicating over the network to enable geolocation. DataLong16 is designing and operating the application software to map the vehicles’ status, locate the mission and route the nearest repair team on the spot. Kerlink and DataLong16 will demonstrate this solution during Mobile World Congress at Kerlink’s booth (8.0 C11), February 26 to March 1. “Like IoT network deployments in smart cities where Kerlink’s equipment is used to track assets, DataLong16’s system in the Port of Barcelona will immediately provide the port operator with insights of how their maintenance fleet is used and ways to make it more efficient,” said Virginie Bonnot, Kerlink Advanced Services business unit sales director.